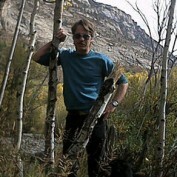 I'm 57 years old and live in "The Big Empty" better known as Elko County, Nevada USA. I have 4 grown children and 6 grandchildren. Susan, my second wife, and I have been together for 29 years. My main interest is writing; mostly short stories, articles, and essays. I have recently become a member of the Methodist faith and greatly enjoy writing and giving sermons about faith, hope, and God's love for us. Unfortunately most of my writing is in a scripted format which Hub Pages "doesn't like" so I no longer post my writings here.